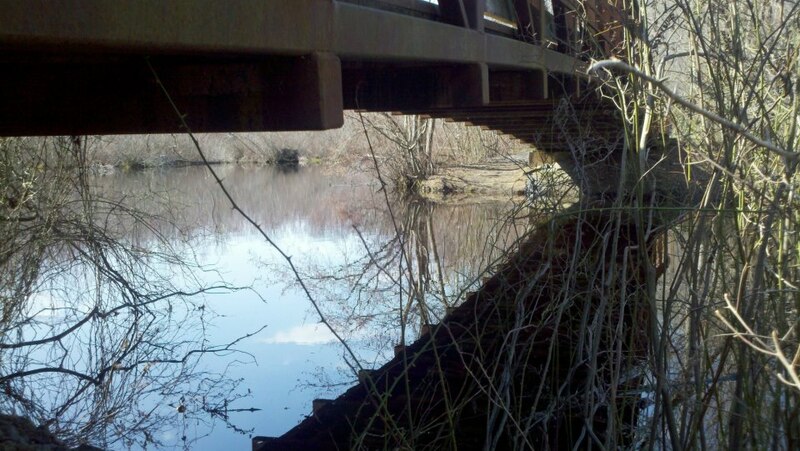 Picture, by me, of a bridge in Killens Pond State Park, in Delaware. Someone recently asked me what I think of as the role of the library in a liberal arts college. I have some strong feelings on the topic, so I thought I'd share my response on my blog as well. Since I'm the product of a liberal arts college (Hood College in Frederick, Maryland, if you're curious), and have worked in the libraries of three different liberal arts colleges... Well, to say the role of a library in that setting is near and dear to my heart would be an understatement. I've spent a lot of time thinking about our role, even before I was asked for my opinion on the topic. Actually, my ideas about the role of the library in a liberal arts college setting are the driving force in my career. It all comes down to this: I see the library as a bridge and community builder. We have this opportunity because of the usually unique role a library plays at small, liberal arts colleges. The library, and the staff who work in/for the library, are the very definition of "neither fish nor fowl." We are an academic department, but we're also a student life department. We're a physical space, but also a service. Even at schools where librarians are considered fully faculty or fully staff, we're both and neither. Some might see this as a weakness, but it is precisely this in-between state that has always helped me build bridges and communities - because we are a department that serves the entire community and beyond. One way in which I've been able to take advantage of how the library is situated is how I've used my role to create partnerships, even with non-typical partners. Sure, libraries work with academic departments on a regular basis, but I've managed - more than once in my career - to bring together groups that include faculty and staff from across the institution. When I ran Humans vs. Zombies at a previous institution, the group running it included faculty, students, academic staff, student life staff, and librarians. And the cultural literacy series? The committee running it was me, a member of the faculty, and an administrator from student life. Talks were given by a broad range of college employees, too, not to mention the campus constituencies that were represented in our audiences. Another way community building has shown in my career is how I've used my position to break down silences and silos. Sometimes it was paying attention to research interests and then connecting like minded scholars: "Professor Smith, you're studying death and dying from a nursing perspective? Did you know Professor Jones is working on an article about the literature of death and dying? Do you know each other? If not, I'd be happy to introduce you." Another time it was more personal: I helped to organize an after work get-together for a group of junior faculty who ranged across a broad array of disciplines. Then there were all the times I built collections of popular reading materials as a way to get people in the building (that was the topic of the second post I ever wrote for LtaYL). A third way in which this theme of community and bridge building has played out is in how I've striven to make the libraries where I've worked as welcoming as possible. Furniture, signage, displays, universal design, smiling and helpful staff... these are all important. A welcoming atmosphere is especially crucial when it comes to assisting first generation college students with learning the culture of higher education (and even if your college hasn't traditionally served a lot of first gen students, you will be). It's also important when dealing with new faculty. If the library is the first department to extend a welcome, you can be sure new faculty will be more receptive to your ideas. Heck, most of the assessment techniques I've shared on this blog (especially the kindness audits I wrote about recently) have had the end goal of making the library more welcoming and effective. This community and bridge building role is something I see for libraries at a liberal arts colleges both now and in the future. It's the human element that makes liberal arts colleges what they are. It was the people at my undergraduate institution that were my connection to the school and the reason I got so much out of my time there, and I can serve as that connection for the students, faculty, and staff now that I'm on the other side of the desk. As online classes become de rigueur, even for small schools, and as we all try to entice non-traditional and first generation students to our schools, the human element will only become more important. Relationships and community and personal attention are some of the reasons people pick small schools, and the library can and should be at the heart of that. Our tactics will likely have to change or at least expand. We, as a profession, used to tell students to drop by the library to see us but now we make a point of meeting students where they are - email, chat and text reference, and even roving reference. I've worked social events run by other departments, such as when I helped serve late night breakfast or the multiple times I refereed late night dodge ball. I don't know what new technologies are coming next, but as service oriented as librarianship is, I'm sure we'll figure out a way to employ them to help better serve our communities. Even when I daydream and imagine such future academic libraries as the one at Starfleet Academy, I know the role of librarians and libraries needs to be that of bridge and community builder. What do you think? If you agree, why? If not, why not? Coming from the student side of this matter, I would wholeheartedly agree with you. My undergraduate degree is from a small Liberal Arts school in a very small town in East Tennessee. The library is not only the location for studying and research but also THE place for hanging out, meeting new people (we all knew where it was), and getting involved with the locals. Many locals would come to the library to check out fiction books. Even if our community outreach groups needed to meet with someone outside school affiliation, everyone in this small town knew where the library was and could meet there. The Librarians themselves were this weird librarian-counselor-teacher mix and was always there to help with research, tutoring, or family issues. They were just overwhelmingly helpful in all aspects. I believe this had a highly positive exchange with the students. I know it did for me. I appreciate and agree with your depiction of the bridging role of libraries in liberal arts colleges, but all I can think about now is how amazing it would be to work in public services at the Starfleet Academy main library. Holy cow. I really enjoyed reading this post. As an interdisciplinary researcher, I have found tepid (or non-existent) institutional support for crossing departmental lines. My experiences with library staff at state universities (which tend to be a bit more balkanized to start with) have definitely helped on this account. Question - in the present or near future, do you see a place for explicitly interdisciplinary researchers within library staff? Traditionally, so-called "core" staff like statisticians have been housed within institutes. Institutes of higher education are increasingly recognizing the usefulness of core molecular staff, for example (in part, I assume, because having fewer labs saves start-up costs, and potentially increases institute overhead cost-recovery). In some senses, it seems natural for data-focused core staff to lodge in the library. But this seems to go against current institutional norms. I'm curious if these norms are driven more by fiscal constraints, social momentum, or if these sorts of core positions really would fit better *outside* existing library structures?